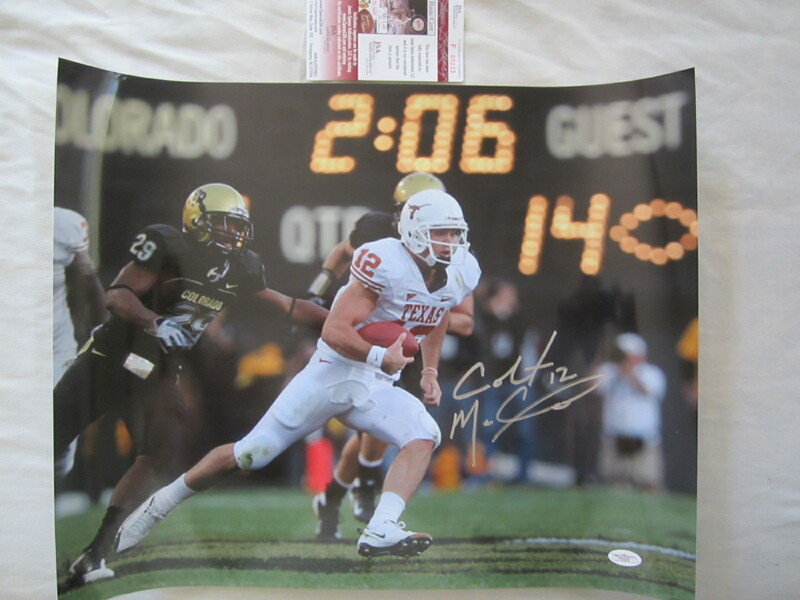 16x20 action photo of former Texas Longhorns superstar quarterback Colt McCoy autographed in thick silver paint. 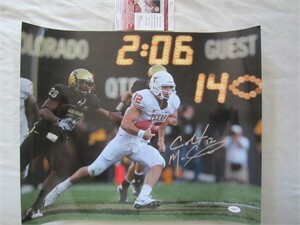 Authenticated by JSA with their matching numbered sticker on the photo and certificate of authenticity card. ONLY ONE AVAILABLE FOR SALE.